Begin with an overnight on the captivating Marseille, and relax along the remarkably blue water of the Mediterranean Sea. 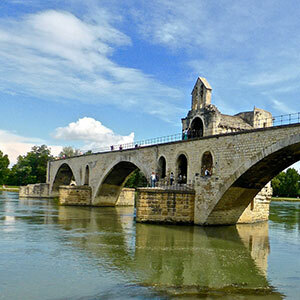 Continue your wondrous journey through beautiful views of France along the Rhône and Saône Rivers with guided sightseeing in the well-known French treasures and some hidden gems too! Embark your ship in Port St. Louis, France, and sail to Arles-famous for inspiring the paintings of Van Gogh and its 1st-century Roman Amphitheatre, which hosts plays and concerts to this day. 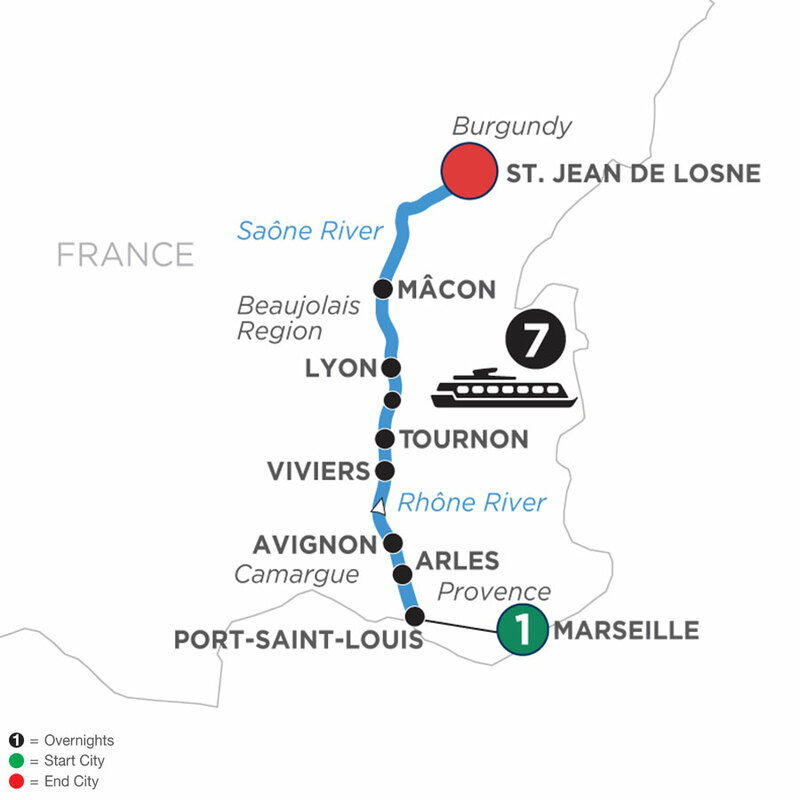 On a guided tour of historical Avignon, see the 14th-century Pal-ace of the Popes-the largest gothic fortress in the world and, later on, join an excursion to the wine region of Chteauneuf du Pape. The city of Tournon is beautifully nestled among vineyards and you’ll go on a guided walk of this medieval treasure with plenty of Roman ruins and a fascinating 16th-century castle. Lyon, France’s gastronomic capital sits at the junction of the Rhône and Saône Rivers and is a showcase of medieval and Renaissance architecture. Visit the popular Place des Terreaux and stand in front of the famous fountain you’ve seen on postcards. Take then a guided tour to Beaujolais and the following day to Chardonnay, where you will have the opportunity to taste local wines.